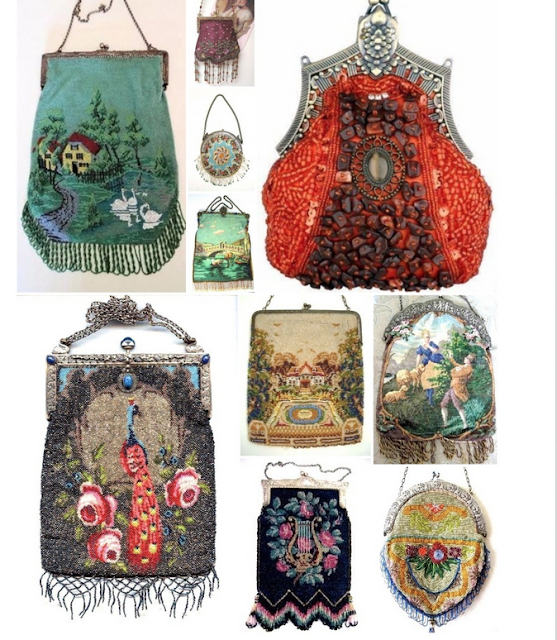 When I was in my early 20s, I was already hooked on antiques and one of my muses was Victorian beaded bags. I had them displayed on my bedroom wall and I took such good care of them. Years later when I had some hard financial times, I had to sell those purses, and they took care of me. I wish that I had photos of them for there were some fine bags, some with jeweled claps.